A brain hemorrhage is essentially a type of stroke. A brain hemorrhage occurs when an artery in the brain bursts and causes localized bleeding in the surrounding tissues. This bleeding kills the cells in the brain. Brain hemorrhages constitute around 13% of strokes. 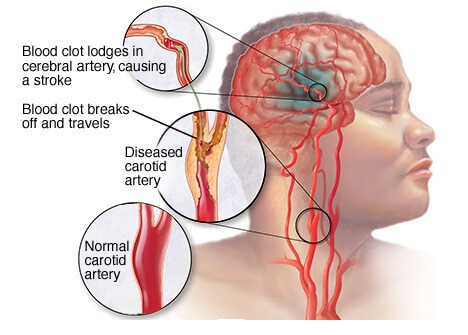 Aneurysm: This occurs when there is a weakening in a blood vessel wall that swells. It can burst and cause bleeding inside the brain, hence resulting in a stroke. High blood pressure: High BP can overtime result in the weakening of blood walls. High blood pressure should be treated to avoid brain strokes. 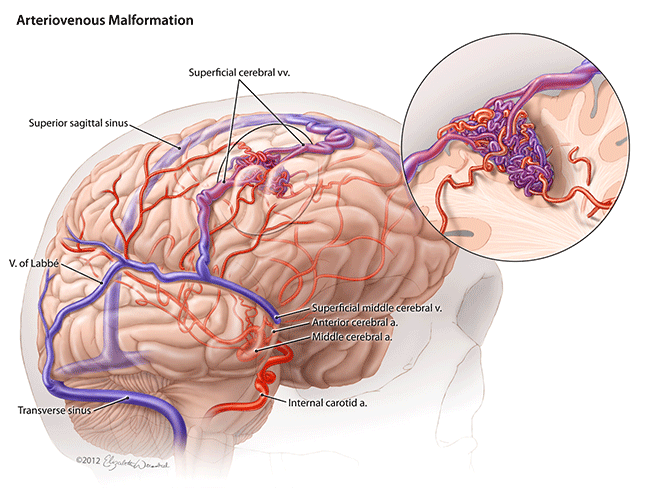 Blood vessel abnormalities: Weak blood walls around the brain may be present since birth and may only be diagnosed once the person shows symptoms. Bleeding disorders: People with bleeding disorders such as skin cell anemia or hemophilia are at a higher risk of experiencing brain strokes as these can result in decreased level of blood palettes. Brain tumours: People suffering from a brain tumor are at a higher risk of experiencing brain strokes. Amyloid angiopathy: This is an abnormality that occurs in the blood vessel walls due to either ageing or high blood pressure. It may cause many small bleeds before causing a large one. How is a brain hemorrhage diagnosed? This is a procedure in which a catheter is inserted into an artery and passed through the circulatory system leading up to the brain. A dye, which makes blood flow easy to see on X rays, is injected through the catheter. 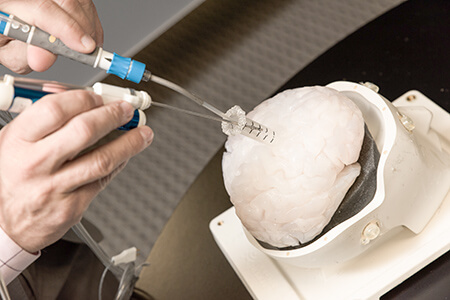 Also known as a spinal tap, this is another procedure to diagnose brain bleeds. 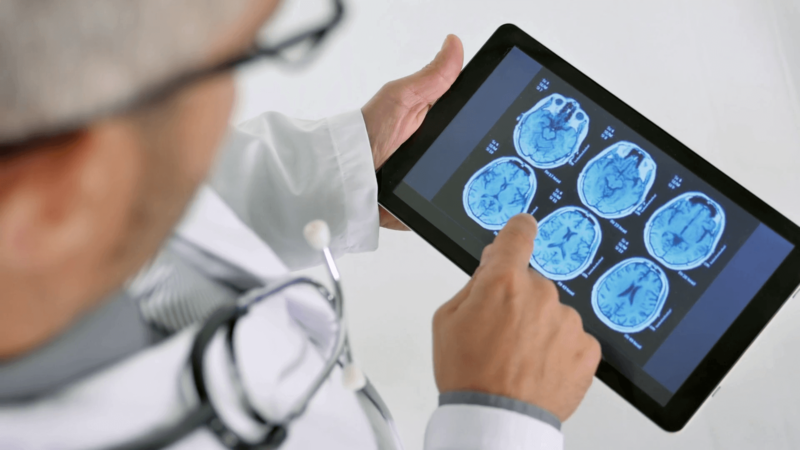 How is a brain hemorrhage treated? In some cases, a traditional surgery may be required to drain out the excess boo in the brain or repair damaged blood cells. This is a procedure where the surgeon removes a tumor or a blood clot through a port (which is a dime-sized channel). As compared to traditional surgery, this method causes lesser complications, fewer scars and has a quicker recovery time. This done so that the hematoma gets space to expand without damaging other brain cells. A person can be prescribed medication to control seizures, headaches or blood pressure. These forms of treatment can help patients regain brain functions such as speech, that may have been affected because of brain bleeding. How can a brain hemorrhage be prevented? If you are suffering from high blood pressure, don’t ignore it and consult your doctor immediately. Make lifestyle changes such as eating healthy food, exercising and if necessary taking medicines prescribed by your doctor. Consuming drugs such as cocaine can put you on a higher risk of developing brain strokes. Drive carefully and always put on your seat belt. If you are riding a motorcycle, make sure you are wearing a helmet. If you are suffering from abnormalities, such as aneurysms, et a check up done. A surgery can prevent future brain bleeds. Be careful when you consume Coumadin. This is a drug that should only be consumed after checking your blood levels and making sure their range is proper. Take this medicine, only if prescribed by your doctor. 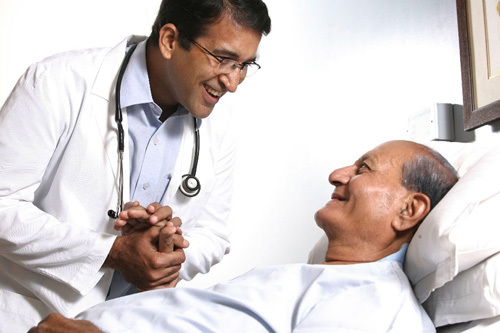 Cost of medical treatments in India can be exorbitant in India, especially in the private healthcare sector. The cost of brain hemorrhage can cost anywhere between Rs. 5 lakh to 15 lakhs and more. Most Indians do not have insurance covers and many of them aren’t eligible for loans, owing to their poor economic backgrounds. They are forced to borrow money from their friends and relatives, thereby facing the pressure of returning the funds. However, crowdfunding is proving to be a much needed relief for such helpless souls. It is a practice in which you can ask each person to contribute a certain amount to reach the goal amount. Many Indians have benefitted from crowdfunding on Impact Guru. You can read the success stories here. Do you wish to be a part of this movement? Start your fundraiser here! Why Are Brain Tumour Cases In India On The Rise?